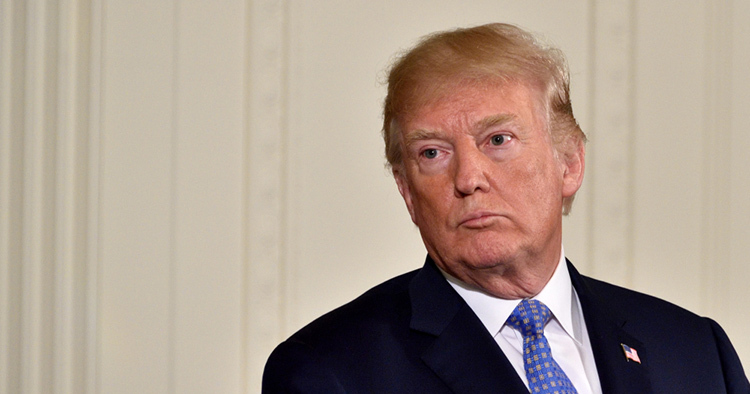 President Donald Trump could rely on the National Emergencies Act of 1976 to build a border wall without approval from Congress, but the move would likely face challenges in court. The law regulates how presidents can exercise emergency powers that are given to him in hundreds of specific statutes, report the New York Times, the Wall Street Journal, USA Today, the Washington Post and Lawfare. The Brennan Center for Justice at the New York University School of Law has identified 136 statutory powers available to presidents in national emergencies. • Section 2808 on the federal law on the role of armed forces, which permits the secretary of defense to begin military construction projects that aren’t authorized by law, using money appropriated for other military construction projects. Such projects must be “necessary to support such use of the armed forces.” Unnamed congressional aides told the Wall Street Journal and the Washington Post that billions in funds might be available in the Pentagon budget for the border wall. • Section 2803 of the same armed forces law, which allows some funds appropriated for military construction to be spent on projects that aren’t specifically authorized if they are used for national security and protecting U.S. troops. • Section 284 of the U.S. code on the role of armed forces, which authorizes the secretary of defense to provide support for counterdrug activities and to block drug smuggling. The law, which does not require declaration of a national emergency, allows construction of roads and fences. Trump’s deployment of troops to the border this past fall may have helped lay the groundwork for an emergency declaration under Section 2808, according to Lawfare. Section 284 is not only a separate possible ground for Trump to take action; it also could be a building block for Trump to assert power under Section 2293, which requires the wall to be an authorized project. It could be argued that Section 284’s reference to a drug-smuggling fence constitutes the wall authorization that is needed under 2293, according to an expert who spoke with the New York Times. If the president takes such a tack, will it hold up in court? Vice President Mike Pence has argued the influx of immigrants entering the country illegally at the southern border has created “a humanitarian and national security crisis.” Administration officials also have linked immigration to terrorism. Steve Vladeck, a law professor at the University of Texas at Austin, told the Wall Street Journal that courts are unlikely to second guess a president’s judgment on what constitutes a national emergency because the statutes don’t provide a definition. And the Trump administration could mount serious arguments backing up his emergency powers, according to William C. Banks, a law professor at Syracuse University who spoke with the New York Times. But Elizabeth Goitein, who oversaw the Brennan Center study, told the New York Times she thinks Trump “would be in big trouble” if any court decided it had the power to review an emergency declaration. “I think it would be an abuse of power to declare an emergency where none exists,” she said.